Enbridge Energy Partners, L.P. (NYSE:EEP), RR Donnelley & Sons Co (NASDAQ:RRD), AT&T Inc. (NYSE:T) are the top three dividend stocks in Cramer’s list and each of these stocks have a dividend yield of 5 percent or higher. Enbridge Energy Partners, L.P. (NYSE:EEP) has a current dividend yield of 5.81 percent and its stocks are trading at $39.23. While talking about Enbridge Energy, he said, “I think that’s a great stock to be in.” He was bullish on Enbridge Energy Partners, L.P. (NYSE:EEP) while talking about stocks in the Lighting Round of Mad Money show. On its financial grounds, the company has net market cap of $12.78 billion and 50% institutional ownership of the company. RR Donnelley & Sons Co (NASDAQ:RRD) is another stock in Cramer’s high dividend list and the stock has dividend yield of 6.54 percent. While talking about the dividend yield of the company, Cramer said that the company has an ability to consolidate its industry, which makes its dividend yield sustainable. RR Donnelley & Sons Co (NASDAQ:RRD) has current market cap of $3.18 billion and its stocks are trading at $15.91 with P/E ratio of 15.23. Donnelley has 91 percent institutional ownership of the company. AT&T Inc. (NYSE:T) is another technology company in Cramer’s list for high dividend yields and Cramer mentioned it as an excellent option for investors looking for high yield. Cramer mentioned AT&T as an excellent option because of its potential acquisition of DIRECTV (NASDAQ:DTV) and its stocks could go higher. In fact, he mentioned it multiple times because of this potential deal. The telephone carrier is in a price war with other major companies just like T-Mobile US Inc (NYSE:TMUS), which is offering attractive deals for customers. 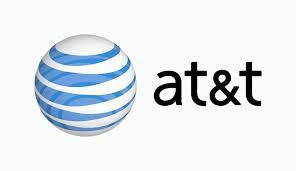 The stocks of AT&T Inc. (NYSE:T) are trading at $33.40 and it has current dividend yield of 5.63 percent. The company has a current market cap of $173.25 billion.